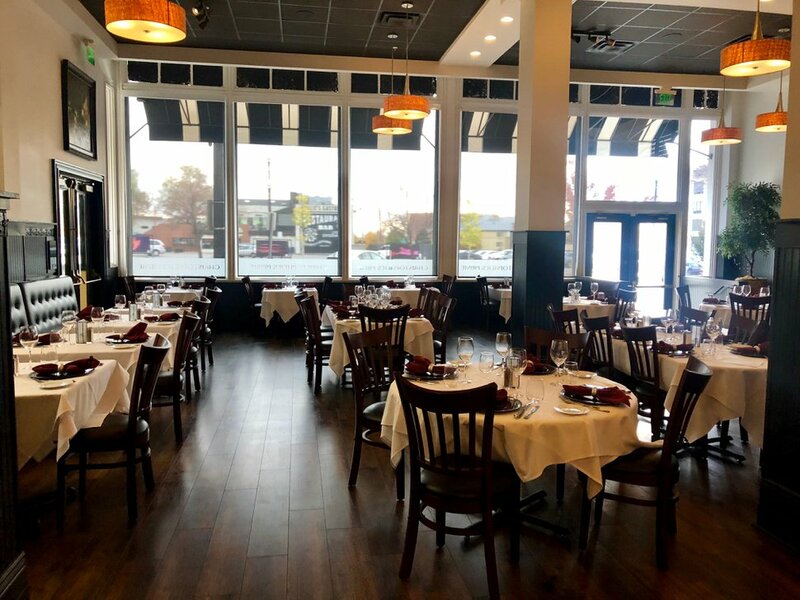 (Brodi Ashton | For The Salt Lake Tribune) The dining room at Christopher's Prime Tavern and Grill, which has returned to Salt Lake City's Peery Hotel. It’s dining déjà vu at Salt Lake City’s Peery Hotel, with the return of Christopher’s Prime Tavern and Grill. More than a decade ago, the restaurant — which at the time was called Christopher’s Seafood and Prime Steakhouse — was in the historic hotel at 110 W. 300 South. 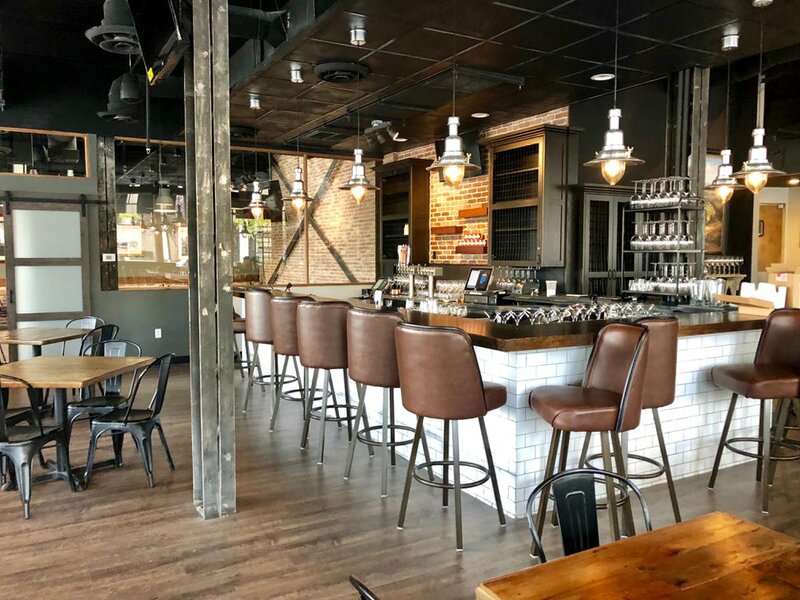 Later, it moved to 134 W. Pierpont Ave.
(Brodi Ashton | For The Salt Lake Tribune) Christopher's Prime Tavern and Grill has returned to Salt Lake City's Peery Hotel after several years on Pierpont Avenue. Two months ago, it returned to the Peery, with an updated name and menu that still includes steaks, chops and seafood but with some new additions. Entrées start at $24. 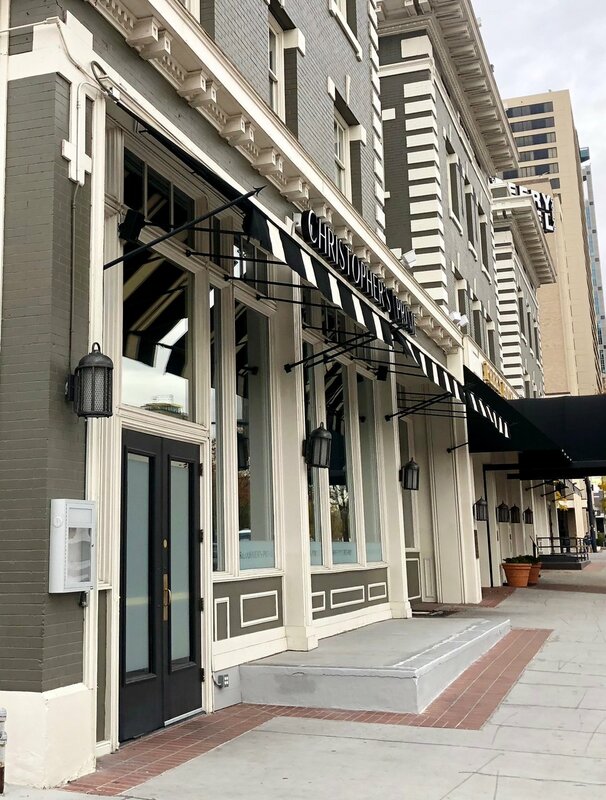 Later this month, the Peery will welcome Christopher’s new sister restaurant — called Sonoma Grill and Wine Bar — in a second restaurant space on the street level of the hotel. Both restaurants are owned and operated by the BonPatt Restaurant Group, which also has a third restaurant, Fat Jack’s Burger Emporium, 206 S. West Temple. Anthony Bonomini and Christopher Patterson have been business partners for 20 years and are the duo behind the BonPatt name. Christopher’s new location in the Peery is smaller — by design. The owners wanted to give customers a more intimate dining experience than the 15,000-square-foot Pierpoint location could provide. It has a “lighter, more airy ambience,” Bonomini said of the new digs. Still, it can host parties of up to 200 people. There’s also a separate bar. While Christopher’s is no longer across from the Salt Palace Convention Center, the owners say the Peery is still close enough to benefit from conventions and performances at the Eccles Theater on Main Street. (Brodi Ashton | For The Salt Lake Tribune) Sonoma Grill and Wine Bar is expected to open this month inside Salt Lake City's Peery Hotel. It's sister restaurant, Christopher's Prime Tavern and Grill, is next door. At Sonoma Grill, the menu will be upscale comfort food inspired by California wine country, restaurant manager Randy Prazen explained. It seats twice as many as Christopher’s. Windows line two walls, so it, too, should offer an open and light atmosphere. Besides a full restaurant, Sonoma Grill will have a wine bar. Guests should look for “The Magnificent Seven” menu, which features seven wines, each priced at $7 a glass. Christopher’s Prime Tavern and Grill • 110 W. 300 South, Salt Lake City; 801-890-6616 or https://christophersut.com/. Open Monday through Saturday, 5 to 10 p.m.; Sunday, 5 to 9 p.m.; daily breakfast buffet, 7 to 10:30 a.m.
Sonoma Grill • 110 W. 300 South, Salt Lake City; 801-890-6612 or https://sonomagrillut.com/. Open Monday through Thursday, 11 a.m. to 10 p.m.; Friday and Saturday, 11 a.m. to 11 p.m.; Sunday, 5 to 9 p.m. Fat Jack’s Burger Emporium • 206 S. West Temple, Salt Lake City; 801-890-5155 or https://fatjacksut.com/. Open Monday through Saturday, 11 a.m. to 10 p.m.; Sunday, 4 to 9 p.m.